But the "Adventure Alpha" is available only for a chosen few. 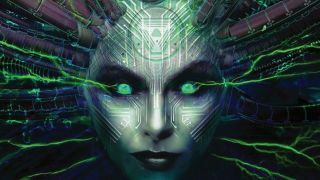 Nightdive Studios has shared footage of System Shock's alpha test, showing off new textures and environments from the rebooted classic. Polygon reports the alpha is currently invite-only and available chiefly to those who pledged $750 or more to its Kickstarter campaign. "Welcome to the System Shock: Adventure Alpha! Backers will be able to freely traverse Citadel Station, pick up items, listen to audio logs, read emails and complete the game’s objectives from start to finish," explained the studio. "These are the original textures and not final art," the video description adds. "Not only will these re-tooled textures make the Adventure Alpha more interesting but it will provide the team with a blueprint of how to approach updated art, lighting, level design, and more." Nightdive Studios' 2016 campaign to crowdfund a remake of System Shock was a huge success, smashing the $900,000 goal and raising $1.35 million. After it was "put on hiatus" earlier this year, CEO Stephen Kick explained that "as [the studio's] concept grew and as [the] team changed, so did the scope of what [it was] doing and with that the budget for the game".